Marinara Sauce is basic and classic tomato sauce used in various Italian recipes like spaghetti, pasta, pizza or meat balls. 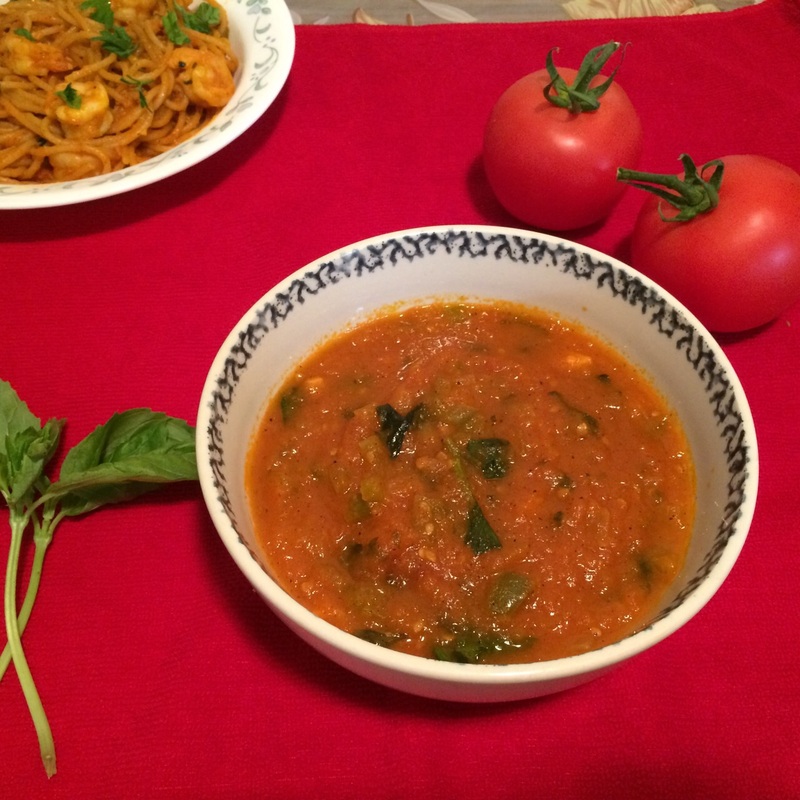 Its basically made with juicy tomatoes simmered with onion, garlic and flavored with herbs like basil, oregano. It can customized to our tastes by adding Indian spices like red chilly, coriander leaves, garam masala etc. Prepare it on weekend and store a batch in refrigerator for quick meals on weekdays. Simply boil your favorite pasta and add to the sauce and simmer for 2 mins and viola!! (Check this recipe for spaghetti with shrimp). Add Parmesan or Mozzarella cheese to finish off the recipe for extra Italian flavor. Make the famous Spaghetti Bolognese by sauteing minced meat and add marinara sauce along with cooked spaghetti. Here I have used capsicum and celery to give more chunkiness to the sauce. You can also use carrots or olives etc. I have peeled the tomatoes by boiling them for a minute and gave light pulses in my blender for that chunky and juicy texture. Clean tomatoes and get rid of eye of the tomato and make a criss-cross cut on the top. Drop them in pot of boiling water for minute or two. When you see the skin of tomatoes coming off, drain water and transfer to cool water pot to stop the process of cooking.